The Catalonian government has announced its desire to open 50 delegations abroad to represent the political, commercial and cultural interests of the region, which has been demanding independence from Spain. 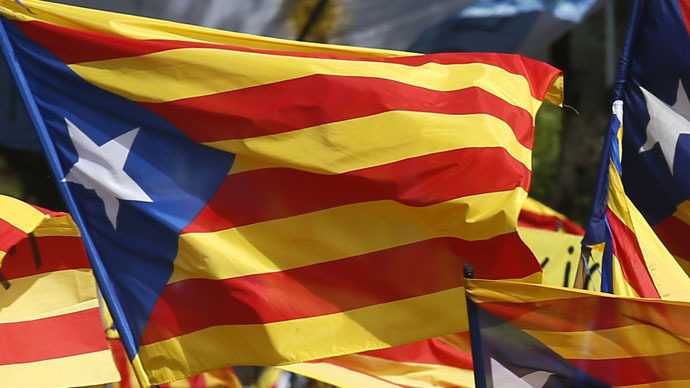 “The intention is that in the coming months and years we are going to open fifty delegation offices around the world,” Roger Albinyana, Catalan Government’s Deputy Minister for External Affairs, told Catalan channel,TV3, on Monday. Albinyana said Catalonia was not going to open its agencies in every country of the world but that each office would be in charge for several countries. Each mission will provide support to Catalan companies working abroad and would try to attract foreign investments into the region and promote Catalan culture and language. The pledge follows the establishment of two new delegation offices in Rome and Vienna. The office in Austria is also intended to maintain relations with Slovakia, the Czech Republic, Slovenia, Croatia and Hungary, serving as one for the whole area. Previously, delegations were opened in Belgium, the US, the UK, France and Germany. Albinyana added the government planned to establish relations with Asia and Latin America as well. Catalonia is an autonomous region of Spain and it has the right to pursue its own foreign policy. However, it is limited in many ways. One of the most prosperous in the country, the region is yearning for secession from Spain. Catalonia’s drive for independence from Spain has been reaching its peak in recent years, with its president Artur Mas demanding it breaks away completely. An unofficial vote in September showed that an absolute majority of Catalans support the idea of independence. However, despite an unprecedented level of pro-independence protests, Catalonia’s independence hasn’t been welcomed by the Spanish government in Madrid, or by the EU authorities in Brussels. Last December, Catalonia’s high court said that it was going to open an investigation into the alleged act of disobedience by Artur Mas because he held the poll in November despite Madrid’s opposition. EU officials warned Catalonian authorities that in the case that it would gain independence, Catalonia would have to leave the EU. Leaders of France and Germany also disapproved of the idea.